Show your Ice Cats pride on your license plates! Request Organization license plates from your county treasurer's office. There is no additional fee for these plates if you request them at the time of your regular renewal. After your regular renewal period, there is a $10 fee for the license plates. 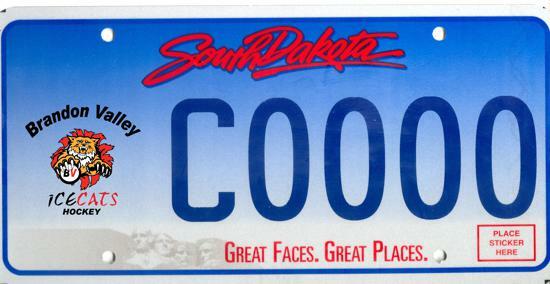 **For more information on organization license plates, click here to go to the SD Department of Revenue website. Request an Ice Cats logo sticker by completing the form below and mailing it along with your payment.